So how can you come up with a list of catchy lawn care name ideas? Choosing a great name requires a little research and brainstorming. In the following article I set out a number of ideas to get you started as you proceed to compile a list of your options. Many small lawn care business owners go with a company name that incorporates their own first name, family name, or both. It is also extremely common for lawn mowing businesses to feature the owner’s initials as part of the name. Using your own name can give customers the impression that they will be getting a personalized and trustworthy service from a local business. If you are well known in your community or have a catchy name or nickname then their may be benefits to using your personal name. The difficulties with this approach come when the business grows larger and the personalized service is no longer there. This approach can also mean that you end up with a business that is difficult to sell if you want to get out at some point in the future. You should also give some thought to how unique your name is. Common sounding names may not be as effective in branding your business as more unusual ones. A name like 'Joe's Lawn Care' just won't cut it these days. You should also make sure that you check to see if there are any other local people in your city with the same (or a similar) name who are already using it to brand their businesses. Having a name that includes the area in which you operate such as 'Northview Lawn Services' is great if you know that you will always be working in that area. When people are choosing a service provider they will naturally relate to your name if it refers to their town or suburb specifically. There is a downside to this approach though. If you grow beyond the area that your name suggests then it becomes a little confusing and can lose its relevance. Alternatively you could use the name of your city, nearby landmarks, local geographic features, your state or even your country as a part of the name. Some naming experts suggest going with a name that clearly states what it is that your business does. Going with an option that includes 'lawn care' or 'lawn mowing' in the title is a good idea and will help customers to identify you. If you offer specialized services then you may want to get this message across in your business name. If you offer environmentally friendly lawn care for example then you may use words like 'Green' or 'Earth' as a part of the name. It is better if the name can be flexible so that you can choose to add other services or change direction at a later date. 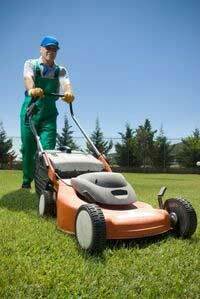 Don't limit yourself by including services other than lawn care in the title as you may discontinue those services in the future. A name like 'Lawn Care Plus' is a good example that mentions the main service yet lets prospects know that other services are on offer as well. You can also consider using a name that incorporates words that hint at the quality or speed of the services that you provide. Think of some catchy words that will create a desired impression on prospective customers by highlighting your competitive advantages. These days you can find out what kind of names businesses right around the world are using when you go online. 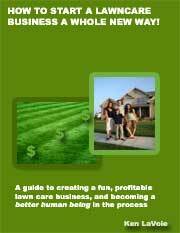 Get inspiration and ideas from the names of lawn mowing businesses in other countries are using. You may also become inspired by the names of businesses in similar service industries like landscaping. Take a look through your local Yellow Pages and see what jumps out and grabs your attention. However, while you may get away with borrowing words or ideas from the names of other lawn services, the best way to come up with a cool name is to use your own imagination. When it comes to names it is great if you can come up with something fresh and innovative. Some of the words that people tend to use in their business names have become a little boring and clichéd to say the least. Avoid using words that are over-used like 'Best', 'Quality', 'Global' or 'Enterprise'. Some names have been over-used in general. names like 'Cutting Edge Lawn Care' may sound funny at first but if you search online you will find that the name has been used by many lawn care businesses around the world. If lawn care businesses in your area aren't using variations of that name yet then they may soon start to. Puns can work well but be careful to make sure that your choice is original and that you won't tire of it easily. Many businesses go for names that start with the letter 'A' (or even AAA) as this gives them a more preferred listing position in directories like The Yellow Pages that set out listings in alphabetical order. It is not worth placing too much emphasis on this point though as the use of printed business directories is slowly on the decline. Internet search engines don't display listings alphabetically. 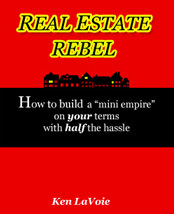 There are many naming consultants or marketing specialists that you can turn to these days for advice. While it may be too expensive to seek advice from these professionals you may have friends that are already in business. Anyone who has a good knowledge of business marketing should be able to offer ideas and critique the names on your short list.